Alysi recently opened its Milan boutique at Via Ponte Vetero 6 in the historic Brera district, designed by interior design and creative consultancy, Studiopepe. The 130-square-metre store was created inside a building from the 1600s. 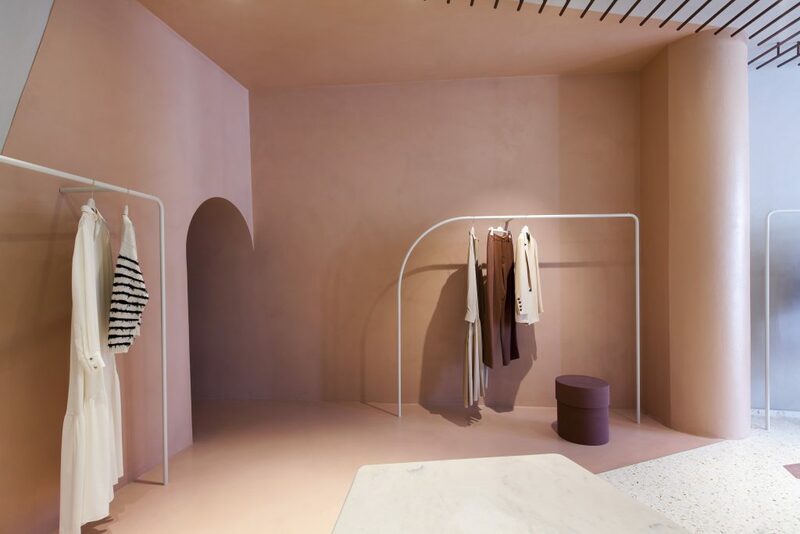 Studiopepe interpreted the soul of the brand in the store’s interior, creating a sophisticated and contemporary atmosphere with a palette of half-tones and natural tints. A modern, feminine aesthetic creates a common thread connecting clothing and interior settings. The study of shapes and materials takes concrete form in rich, custom-made surfaces like the floor, which reinterprets the Palladian classic with irregular, maxi-inserts in polychrome marble, along with glossy surfaces and sculptural elements in plaster and marble. The boutique is conceived as a sequence of spaces, each with an individual character and distinguished by combinations of materials and colours that accompany the client along a chromatic and perspective path. Divided over three rooms, the boutique develops as you move further in: an elegant display of suits fills the entrance, where the fresh, bright atmosphere invites you to explore the collection. 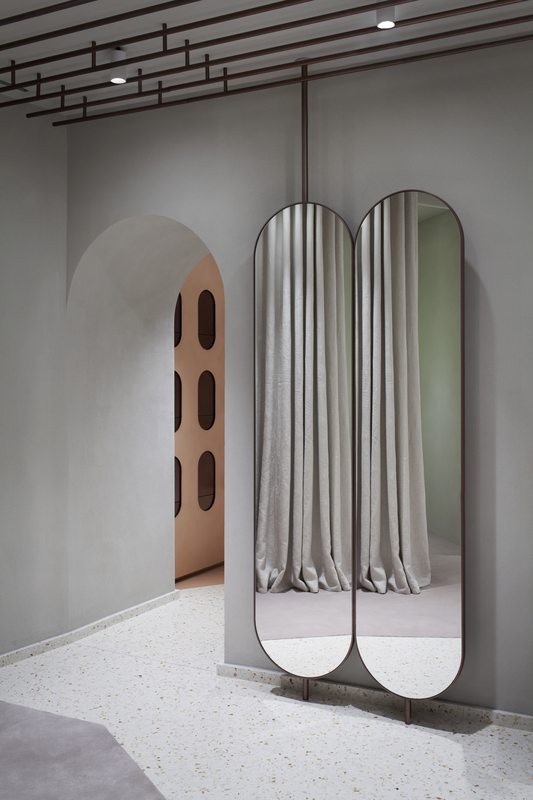 A transition space gains force in its chromatic configuration and installations, connecting the first room to the second. Here, an innovative wall display in copper and gypsum takes centre stage, complementing Alysi’s looks and showcasing the line of accessories. 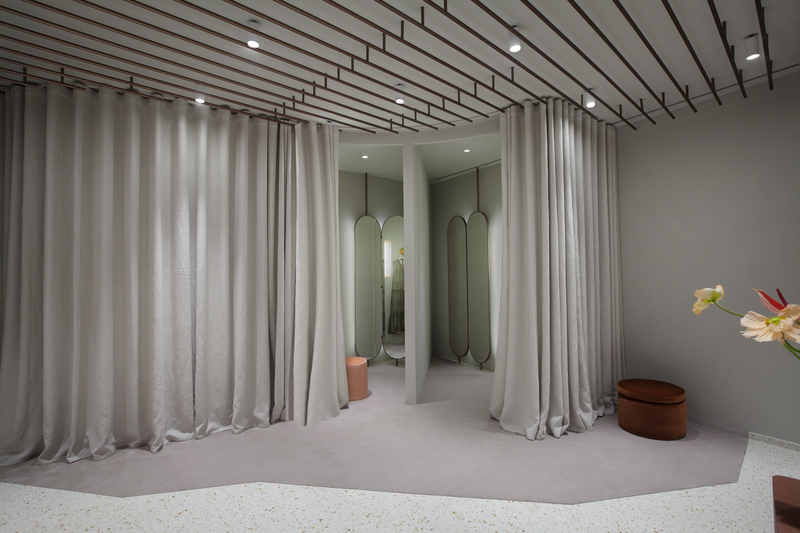 Finally, the dressing room area was designed like a small lounge with a soft, poised atmosphere featuring carpets and fixtures that create an intimate environment.